Rupert black men’s leather shorts. 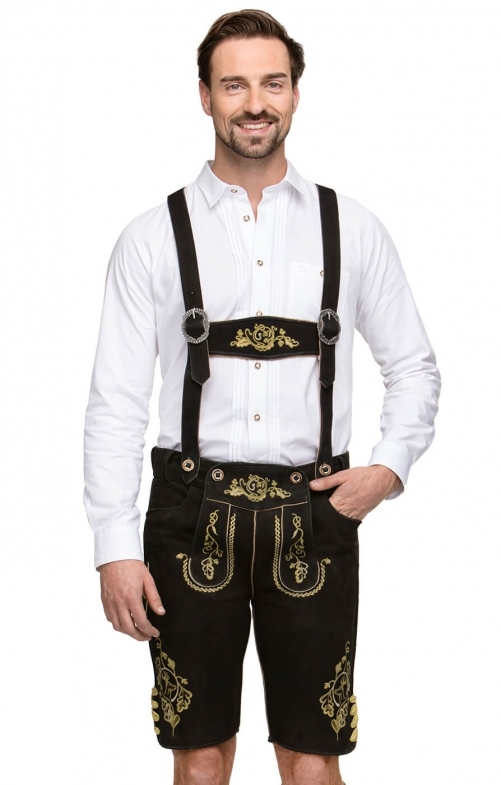 These bold black leather shorts come complete with genuine Bavarian H-braces and men will be the life of the party when they wear these knee-length shorts to Oktoberfest. The classic German button-up bib and cuffs of the shorts are adorned with bright-yellow embroidery, while the cuffs also feature rows of buttons.